The qualified bicycle commuting reimbursement: Biking to work offers obvious health and financial benefits, but did you know your employer will actually pay you to bike to work? In addition to saving big on gas and car expenses, biking to work can earn you up to a $240 credit from your employer each year under the The Bicycle Commuter Act. This qualified bicycle commuting reimbursement, entitles you to a $20 “benefit” from your employer for each month you use your bike as your main ride to work. On its own, 20 bucks doesn’t sound like much, but it adds up to $240 per year. That’s a sizeable figure, and you shouldn’t ignore it. Plus, the $20 per month is considered a “fringe benefit,” so the IRS deems it as non-taxable. That’s more tax-free money in your pocket, which is always a good thing. Add that money to the savings in gas, parking, tolls, and other vehicle expenses, and you could be saving a pretty penny. 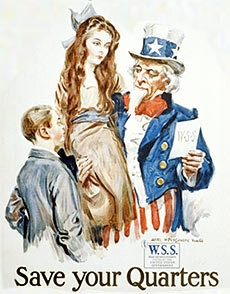 The key words to pay attention to with the qualified bicycle commuting reimbursement are “qualified” and “substantial”. In order to qualify for the biking to work tax credit, you have to substantially use your bike to get to work. People who bike once a week, or try it for a few days won’t qualify. However, if you commute to work at least 3 days per week, you should qualify. The money that is reimbursed to employees who bike is also a win for your employer, as they can write off the “biking to work” credits on their own taxes. This fringe benefit probably won’t be covered in software like TurboTax or H&R Block, as it comes directly from your employer, not the IRS. 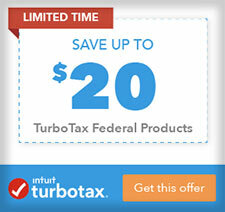 Get 20% off TurboTax Deluxe, Premier, Home Business, or $20 off H&R Block! The first thing you should do is talk to your employer and ask for this benefit. Human Resources might be a good place to start, and many employers even contract with a “Commuter Benefit Provider” to coordinate their commuter programs. If they do, just ask to be enrolled in the bike benefit program. As of 2009, the Bicycle Commuter Act became law, so getting the qualified bicycle commuting reimbursement is your right as a taxpayer! Bicycle Commuter Benefit: A Win-Win! When employees are healthier, they work better. Plus, everyone (hopefully?) likes helping the environment and saving money. Like Getting Paid to Bike! 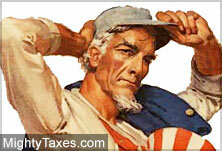 While death and taxes might be a certainty in life, deductions can be too. Compared with the write-offs you could qualify for if you drove your car to work, the biking to work tax credit may not seem like such a great deal, but consider that the average person spends $2600 just to commute by car to work! 30% off Advance Auto Parts Coupon! That’s a big total savings, and all of a sudden that $300 bike looks like a great investment! Anyway, check with your employer and run it by a tax professional (if necessary) to start getting your biking to work tax credit/deduction. Passing up the car and jumping on the bike each morning just got that much sweeter. Cha-ching!